The last few decades have seen some neglected wine regions experiencing a revival and new areas making a name for themselves; here are three wine regions that are definitely in the ascendant. Summers in southern Canada provide similar grape growing conditions to much of France, whilst harsh winters allow growers to make Canada’s famed Icewine. 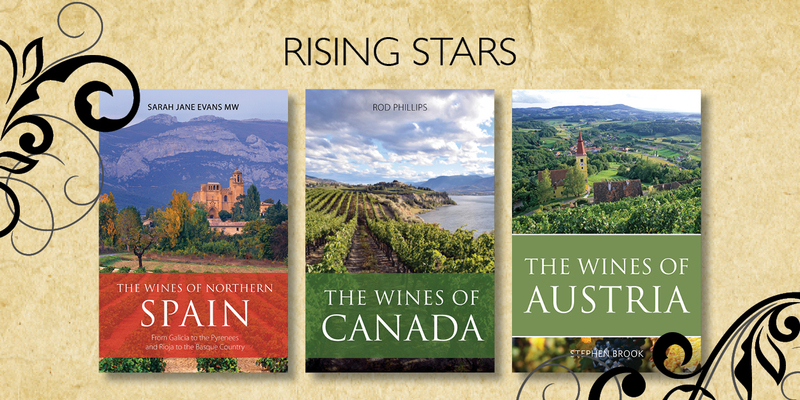 In The wines of Canada Rod Phillips introduces us to this big undiscovered new wine country. Austria has long been a producer of wine and in recent decades it has seen a huge boom in quality. In The wines of Austria Stephen Brook takes a look at the producers and wines responsible for the country’s reputation change. Lastly, renowned Spanish wine expert Sarah Jane Evans MW looks at the thrilling variety of wines on offer from the Atlantic coast to the foothills of the Pyrenees. The wines of northern Spain presents the most innovative producers of quality wine from Galicia, Cantabria, Ribera del Duero, Castilla y Leon, Rioja, Navarra and Aragón.